For testing, your testing devices should be registered as testing devices in Tnk site. You can see [Developer] button at right upper corner of Tnk site. Click the button to open 'Developer center' page. Click [Testing Devices] Tab and [Add] button to enter a testing device. 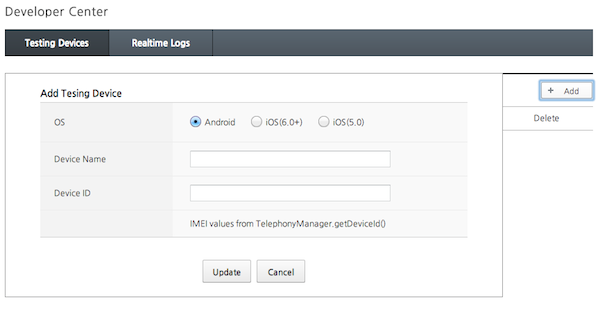 Enter a device name and device Id then click 'Update' button to register it. Device Id is one of followings.